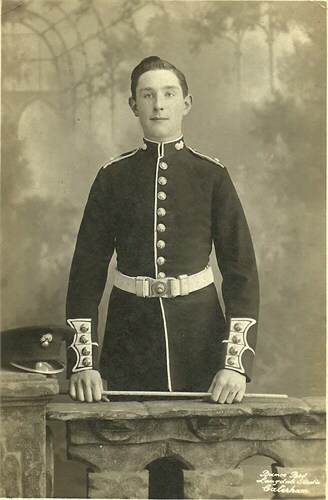 Private 21429, Charles William Thomas Brown, 3rd Batt, Grenadier Guards. Charles was born in late 1896, the son of Thomas William Brown, a house painter, and his wife Louisa Letitia née Plummer. Although shown as Charles in the 1901 census, when he was aged 4 the family seem to have known him as William, by which name he is listed in the 1911 census. Hence, from hereon he will be referred to as William. Louisa worked as housekeeper to Oswald Cary at 47/48 Northbrook Street, a job that came with accommodation for the whole family. In the 1901 census this was Thomas and Louisa with their three eldest children: Winifred May C (born 1894), William and Vera Mary (1897). Oswald was the proprietor of the music emporium founded by his father Alphonse in large premises on the corner of Northbrook Street and Park Street. By 1901 Alphonse had retired to Folkestone, within easy reach of his native Belgium. By 1911 there had been three further additions to the Brown family: Leo Edward (1902), Eileen Gertrude (1904) & John Fritz C (1910). After school William was employed by W H Smith as a newsboy. When war broke out in 1914 he was too young to serve, but he was, like many other young lads, keen to do his bit. He enlisted at a recruitment meeting in the Corn Exchange in early 1915, soon after his 18th birthday. However, he may have lied about his age because he was sent to France with his battalion (3rd Battalion Grenadier Guards) in July 1915, when men were not supposed to be sent to the front until they were 19 years old. In September the battalion had its first experience of a major battle at Loos experiencing many casualties. Pte C W Brown, of the Grenadier Guards (son of Mr and Mrs Brown, of 47. Northbrook-street) sends a letter thanking his late employers for the parcel received on Christmas morning. He speaks of the weather having been very bad, and the two last days in the trenches the worst he has experienced. The Germans started shelling, but they were soon outmatched, our artillery discharging six shells to their one. Brown enlisted about 12 months ago at a meeting in the Corn Exchange, addressed by a lady speaker. He has been about five months with the Expeditionary Army in France. Previous to going out he was with Messrs W H Smith and Son. On the 11th a most regrettable bomb accident occurred whilst No 4 Company bombers were practising under Lt L Hermon-Hodge, 5 men were killed or died of wounds and 16 men were wounded. The court of enquiry found that no one was to blame, but that the bomb exploded prematurely immediately it left the hand of the thrower. All the men were behind a thick sandbag wall at the time but the moment of explosion caused the effect to be very wide. 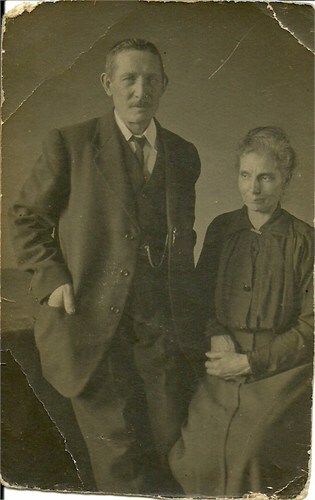 Mr and Mrs Brown, of 47, Northbrook-street, were the recipients of the sad intelligence on Sunday that their eldest son, Pte C W T Brown, 21438, 3rd Batt, Grenadier Guards, had died in the Lahore British General Hospital, Calais, on March 11th , from injuries to the head and abdomen caused by an accident with a bomb. The young fellow had been serving as a bomber in his battalion, and had been through almost all of the big engagements since he left England some eight months ago, and it seems particularly unfortunate he should have met his death in this way, when well back from the firing line, his detachment being now attached to the Royal Flying Corps under the Earl of Craven. Pte Brown was only 20 years of age, and was one of the number who enlisted at a recruiting meeting in Newbury Corn Exchange which was addressed by a lady speaker. Prior to this, he had worked at Messrs W H Smith and Sons’ printing works being in the last year of his apprenticeship. Mr and Mrs Brown received official notification from the War Office on Tuesday morning, but no details are yet to hand as to the cause of his death, except as briefly stated in the official notice. The mention of the Earl of Craven is a mystery, it does not appear to be anything to do with the incident. However, the Earl was a major landowner in the Newbury area, so his name would be deemed newsworthy to the editor. William was buried in grave D.2.2 at Calais Southern Cemetery. 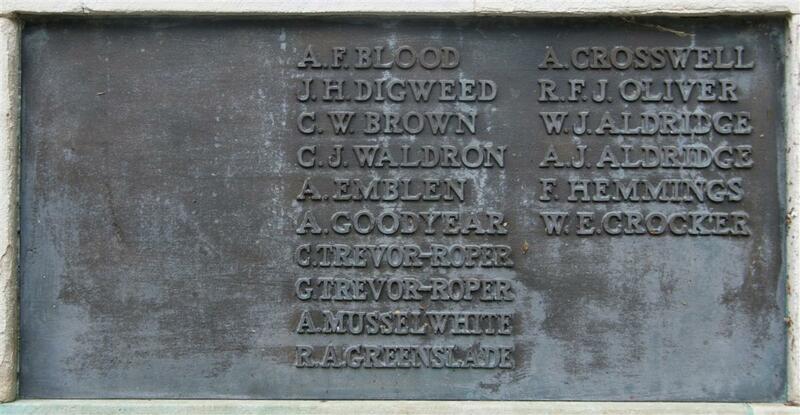 Locally he is remembered on Tablet 8 of the Newbury Town War Memorial. Special thanks to Ellie Cornelius for permission to use the family photographs.